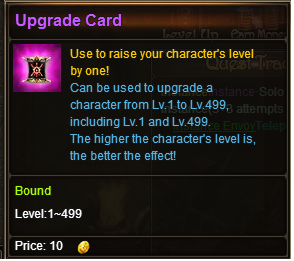 Can anyone tel me what is upgrade card? ?were can I obtain it?? Is an item that can add one lvl. Sometimes guild blessing can give one and sometimes from top up you can get one.